May 22, 2017 SEOBy DEANknows! homes for sale in …. OK you get the point? You can add all of the different degrees in which you use the same words in a search query. Each search term will return a different set of search engine placement results and be searched a different number of times. You can also add *city* real estate and all of the derivatives of that search phrase. You need to get the number of searches (globally and locally), look at the level of competition for each of those searches, and record the average Cost Per Click (CPC) paid to Google to “buy” page one rankings (Google Ad Words). Put all of that in a spreadsheet. This is the beginning stage, the data discovery portion of real estate keyword research. Now that you have your spreadsheet with all of the search terms and the metrics for those search terms, you can make decisions on priorities of what to rank your real estate website for. You are looking for not only a real estate search phrase that not only gets a large number of searches, but has a strong possibly for getting a conversion from the traffic. For instance, the search term “street lights” may get more searches, but if you are selling solar street lights, that is not the traffic that you want. The same thing applies to real estate. Think about where the “searcher” is in their personal real estate sales cycle. Is the person typing *insert search here” in the beginning stages of their real estate journey? For instance, ranking for *subdivision* homes for sale (and the derivatives of) generally attracts home buyers while they are closer to seeing homes and actually writing an offer. They are further down the real estate sales cycle. In many instances, you will see a much higher Cost Per Click (CPC) for keywords that convert. The reason the CPC is higher for those search terms is simple… real estate marketers have already figured out which keywords convert the best. Thus they are willing to pay more for them. 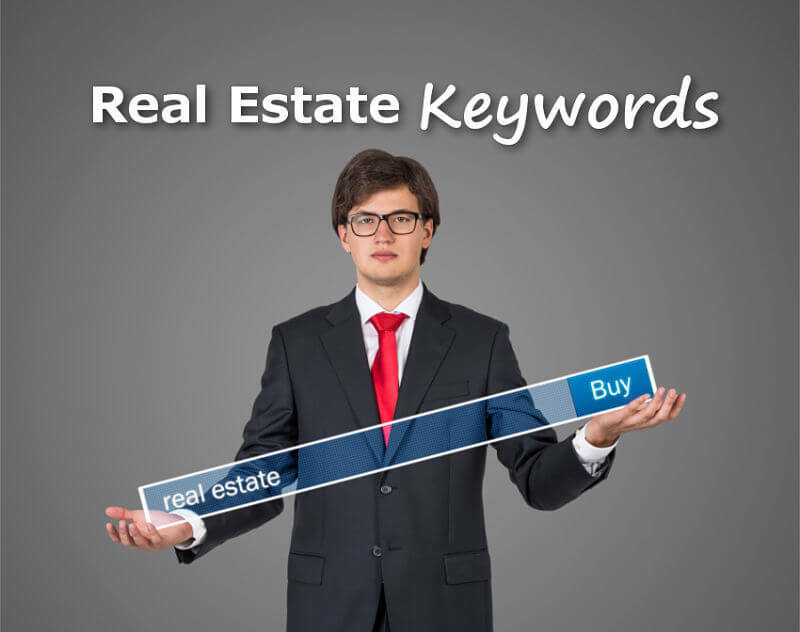 I Have My Real Estate Keywords – Now What? This is NOT a full definition or instruction for “siloing a website”. We will work on laying that out in another real estate SEO blog post. LSI Keywords are essentially keywords related to the keyword that you search for on search engines such as Google. In a nutshell, they are keywords that are semantically linked to your main keyword. If Google sees that you are using LSI keywords in your web page or post, they believe that must be relative content. You want to work your LSI keywords into your pages and posts on your real estate website and avoid using your main key phrases too much, except in the domain and main headers. click to see a good LSI keyword tool. Not really, but this post was only on real estate keywords. Although this is a good beginning, there is still a lot more, even to real estate keywords, to be discussed in one blog post. The main thing you should be taking away from this is that Search Engine Optimization, especially for real estate, is MUCH more than simply words on a page. It requires a well thought out strategy based off of empirical data and research.